Sunday, June 12, 2016: 7th SUNDAY OF PASCHA; Holy Fathers of the First Ecumenical Council. Afterfeast of Ascension. Ven. Onuphrius the Great (4th c.) and Ven. Peter of Mt. Athos (734). Finding of the Relics (1649) and the second glorification (1909) of Rt. Blv. Anna of Kashin. Ven. Arsenius, Abbot of Konevits (1447). Ven. Onuphry, Abbot of Mal’sk (Pskov—1492). Ven. Bassian and Jonah of Pertomsk (Solovétsky Monastery—1561). Ven. Onuphry and Auxenty of Vologdá (15th-16th c.). Ven. Stephen of Komel’, Abbot of Ozérsk Monastery (Vologdá—1542). Ven. John, Andrew, Heraclemon, and Theophilus, Hermits, of Egypt (4th c.). We commemorate today the Fathers of the First Ecumenical Council. Called by Emperor Constantine, the Council was called primarily to resolve the Arian controversy. Arius was a priest from Alexandria, Egypt. The Synaxarion for today says that Arius “blasphemed against the Son and Word of God, saying that He is not true God, consubstantial with the Father, but is rather a work and creation, alien to the essence and glory of the Father, and that there was a time when He was not. This frightful blasphemy shook the faithful of Alexandria” and indeed, the whole world. This all matters, St. Athanasius the Great argued, because any other position not only would be contrary to the Scriptures but ultimately undermine our salvation. Or, as St Gregory of Nazianzus writes, “that which He has not assumed He has not healed; but that which is united to His Godhead is also saved” (“To Cledonius the Priest Against Apollinarius,” Epistle 101). Turning from the feast to the Gospel, we see that the Council’s debate has another level of importance. Jesus prays His disciplines be kept free of the divisiveness that afflicts the world. As He says in another place, in the world people “lord it over” (see Mark 10:42) each other; power over others is, in the world, a sign of greatness. But when power over others is the goal everyone is ultimately my enemy. But what does Jesus say in response to this striving for power and control? “Yet it shall not be so among you, but whoever desires to become great among you shall be your servant. And whoever of you desires to be first shall be the slave of all. For even the Son of Man did not come to be served, but to serve, and to give His life a ransom for many” (Mark 10:43-45, NKJV). We who are disciples of Christ, find our joy in serving others after the example of our Lord, God, and Savior Jesus Christ. Because He is not only Man but also God, Jesus offers this service freely, without any internal or external compulsion. He is able to give Himself freely to the Father’s will because being Himself co-eternal and consubstantial with the Father—He is equal to Him in all things. When Arius denies the divinity of the Son, he undermines the freedom of Jesus and so the purity and complete, all-encompassing nature of His love. But the love of Jesus is also, yes, a human love as well as a divine love. The former means that we can imitate His love; the latter means that our love can become like His; not simply human but divine. The joy we find in serving others is possible because—in Christ—we become more than we are; we too can be free as the Son is free. It is important to remember that become more than what we are, doesn’t mean we become other than who we are. Our personal identities and vocations don’t fade away, they are not dissolved into the divine nature. It is rather that we come to share in the divine nature (see 2 Peter 1:4) and becoming by grace more than we are by nature. And it in this, becoming more than what we are, that we also become more fully who we are, more full ourselves. And yet, the Church still from time to time is drawn into conflict as it was in the years leading up to the First Ecumenical Council. The holy Apostle Paul warns of this when he says that “after my departure savage wolves will come in among you, not sparing the flock.” Arius and the other heretics and schismatics that have emerged through the history of the Church are the savage wolves Paul warns us about. In attacking or denying the divinity of Christ (Arianism) or His humanity (Monophysitism) or in distorting our understanding of the Holy Trinity (Sabellianism), these individuals would undermine the Gospel, seek to assert themselves over the Church and rob Christians of our joy. But Paul doesn’t simply warn us that enemies of the Gospel will emerge in the Church; he tells us to be watchful. We can’t simply passively suffer these attacks. No mindful of Christ’s promise that even “the gates of hell shall not prevail against” the Church, we stand up and oppose those who would corrupt the Gospel, oppress the Church and destroy joy. It must be admitted that—as dangerous as Arius and the other heretics and schismatics are—we face another, equally dangerous threat. There have always been those among us who, though “having a form of godliness” would deny “its power’ (see 2 Timothy 3:5, NKJV). These individuals “preach Christ … from envy and strife … [and] from selfish ambition, not sincerely, supposing to add affliction” to those who are faithful disciples of Christ (Philippians 1:15, 16, NKJV). Who are these envious preachers? These selfish prophets of strife and affliction? They are those who would seek to exclude others from the Kingdom of God or would use the Gospel to satisfy their own self-aggrandizing desires. They are, to borrow a phrase from one of my professors, the “joy suckers.” St Paul’s these people murmurs, those who “complain, as some of them also complained, and were destroyed by the destroyer” (1 Corinthians 10:10, NJKV) They are not destroyed because the seek to right wrongs in the Church openly. 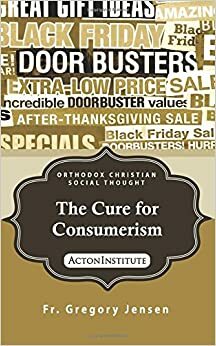 Joy suckers aren’t formal heretics or schismatics but murmurs, “grumblers, complainers, walking according to their own lusts; and they mouth great swelling words, flattering people to gain advantage” (Jude 16, NKJV). St Paul says of those who “complain, as some of them also complained” will themselves be “destroyed by the destroyer” (see, 1 Corinthians 10:10, NJKV) They are not destroyed because they openly and honestly seek to right wrongs in the Church. No, they are destroyed because they destroyers who sow division and condemn others. Worst of all, they do this secretly, with whispers and innuendo. They are spiritual poisoners who are, in their own way, as death-dealing to the life of the Church as Arius. “Gossips and busybodies” (1 Timothy 5:13, NKJV), who “sow strife” and by their whispers destroy “the best of friends” (Proverbs 16:28, NKJV). My brothers and sisters in Christ! In a week, we will stand together and, once again, receive the Gift of the Holy Spirit! Once again, like the Fishermen, God will give us the Holy Spirit, make us wise so that we can capture the whole world in our net! In a week, in churches throughout the world, separated as we are by distance, we will stand together spiritually and, once again, receive the Gift of the Holy Spirit! Once again, like the Fishermen, God will give us the Holy Spirit, make us wise so that we can capture the whole world in our net! Having received so great a gift not once, not yearly, but daily, hourly, even minute by minute, let us lay aside anything is our hearts that would rob others—or us—of joy! Let us run to the Feast, receive the Spirit and go, boldly, into the world as disciples of Christ, witnesses to the Resurrection, and Spirit-bearer prophets to a world torn by divisions and scarred by sin! My brothers and sisters in Christ! Let us be who we are: Apostles of Joy!